Very true about the EOC. Eastern mysticism is simply convoluted, and whereas we would center our understanding of the gospel with the Philippian jailer, where he said “what must I do to be saved”, they would center on Jesus statement of “who do people say that I am?”. It’s no wonder that they are confused about what the good news really is. As far as your proclamation of the gospel, it is always wonderful to hear. If I might suggest a small tweak to where you said “This justified us to God” in regards to his atoning work on the cross. I would suggest that there are two aspects Christ’s work that are required for our justification. What has been called his active and passive obedience. That is in his active obedience he lived a perfectly obedient life to the father, under the law, and his death on the cross is his passive obedience, wherein, as you say, he paid the fathers wrath due us. His death on the cross for our sins makes us innocent of sin, but not righteous. His life of obedience is what makes us righteous, and that is what is imputed to us. As Luther called it, the marvelous exchange, our sin, for his righteousness. So, justification, defined as “being declared righteous before the father” is because of the imputation of righteousness, which is the imputation of Christ’s active obedience. When I started writing it I was attempting to keep it simple, but then my weird need to explain things to death kicked in lol. So it was not as full as it could have been or as brief as I intended it. 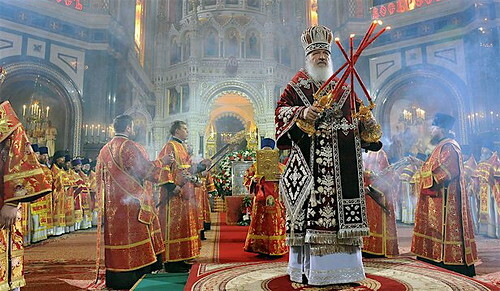 In short, we Orthodox believe in the life, death, and resurrection of Jesus Christ as the Gospel. Could you explain what you believe about justification from your position? Baptism justifies in Orthodox and Catholic theology. We do not necessarily distinguish between justification and sanctification as salvation is decidedly holistic informed by both the personal faith of the Christian and his partaking in the sacraments within the Church.